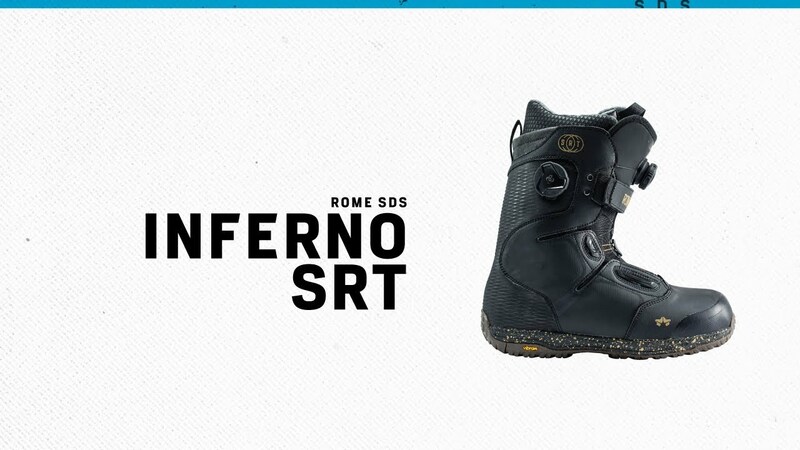 The all-new Inferno SRT steps into the Rome boot collection with our SRT package of support, response and traction performance boosters. Featuring an all-BOA construction, the Inferno SRT integrates our BOA HeelLock Harness for added ankle control and our power strap to lock-out the upper cuff for toeside response. Lightweight and supportive of flex, this boot is built to ride the mountain with power and control. 1:1 Performance lasting combined with engineered welded synthetic uppers ensure a durable low-profile silhouette.